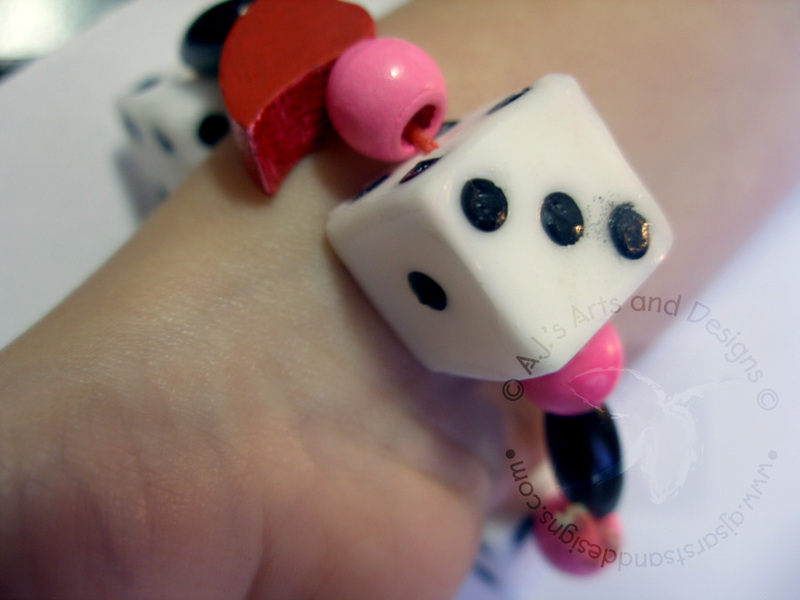 Amazing Crafting Product Design Team – Dice Bracelet How To | Who Are You Calling Crafty? 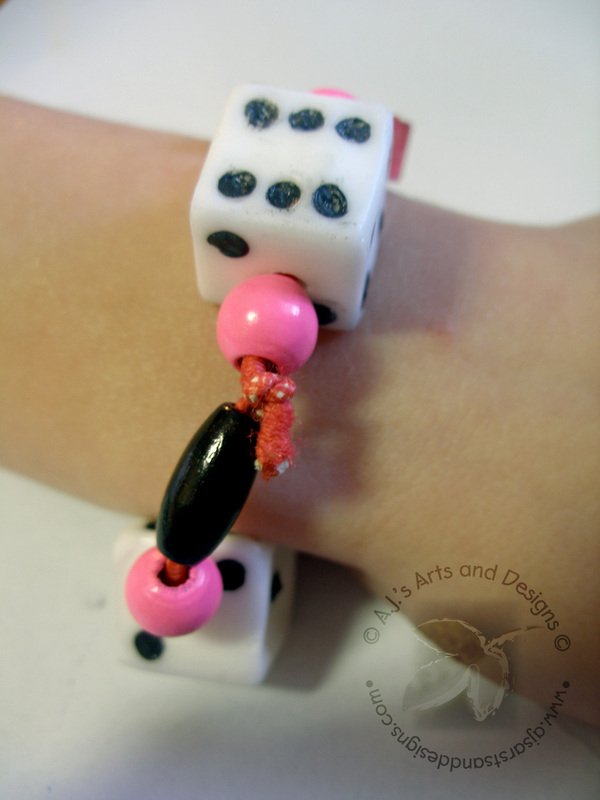 The 50th day of Kindergarten was earlier this week and my daughter wor a poodle skirt and told me she wanted a dice bracelet to got with it.Please keep in mind children under 13 should not use resin so the pouring of the resin is not a family friendly project. 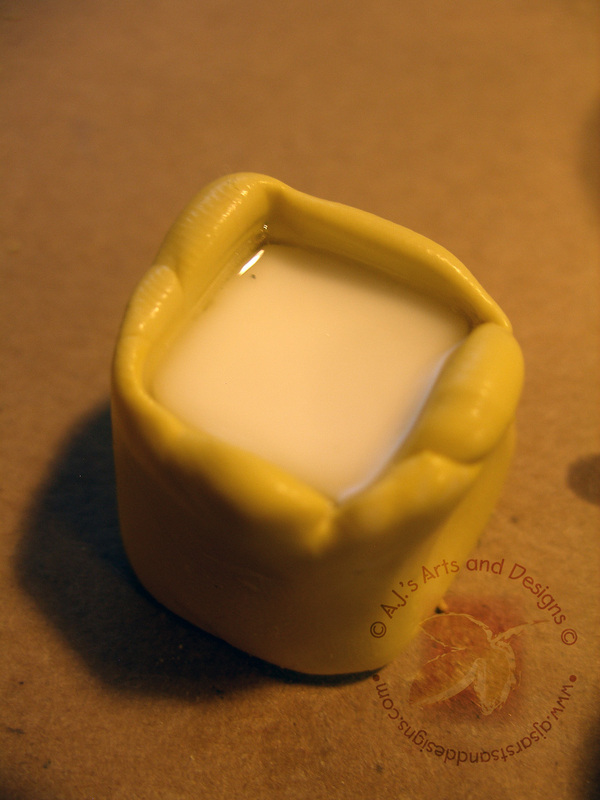 If you pour the items, let them cure and have them decorate them it would be fine. 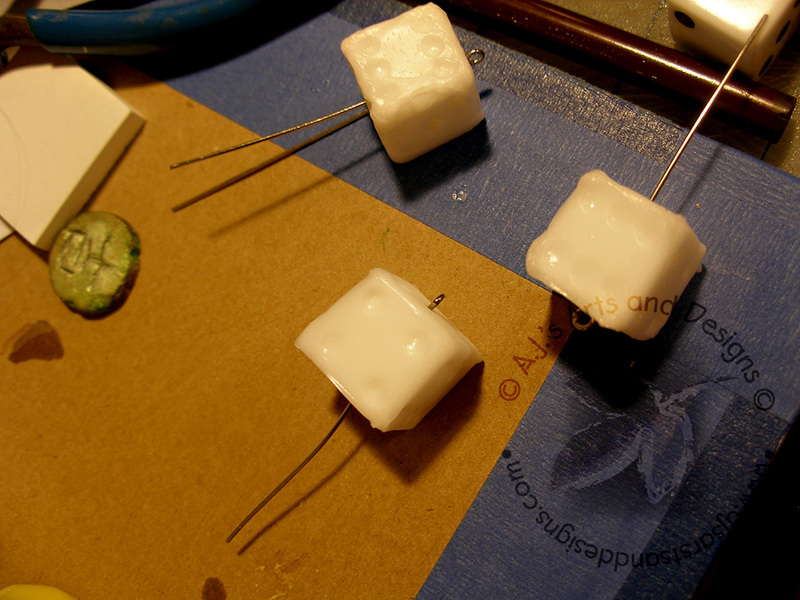 Once you have a mold created you now need to mix you resin I used 1/8 tsp of Part A and 1/8 tsp of Part B – in a plastic or paper cup stir well with a craft stick (this will give enough to make 1 dice and a flat mold about the size of a quarter). 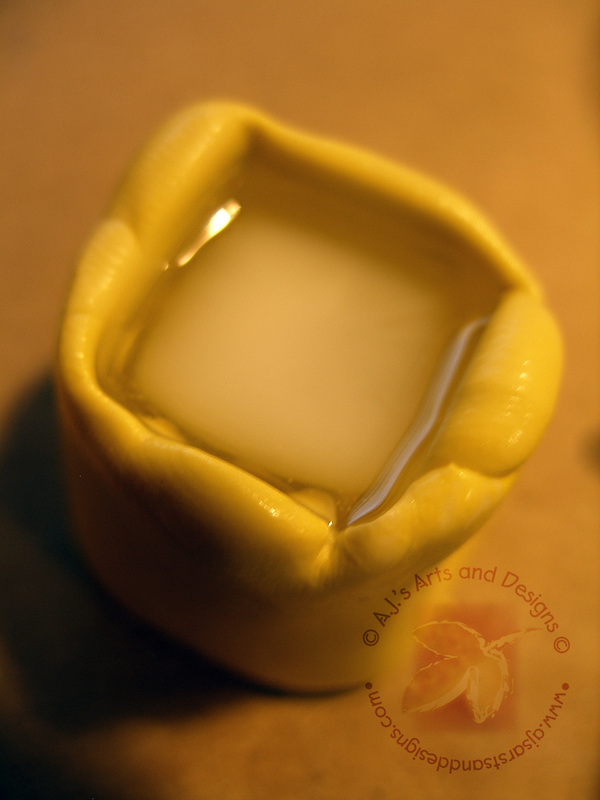 Pour slowly into mold to reduce air bubbles. 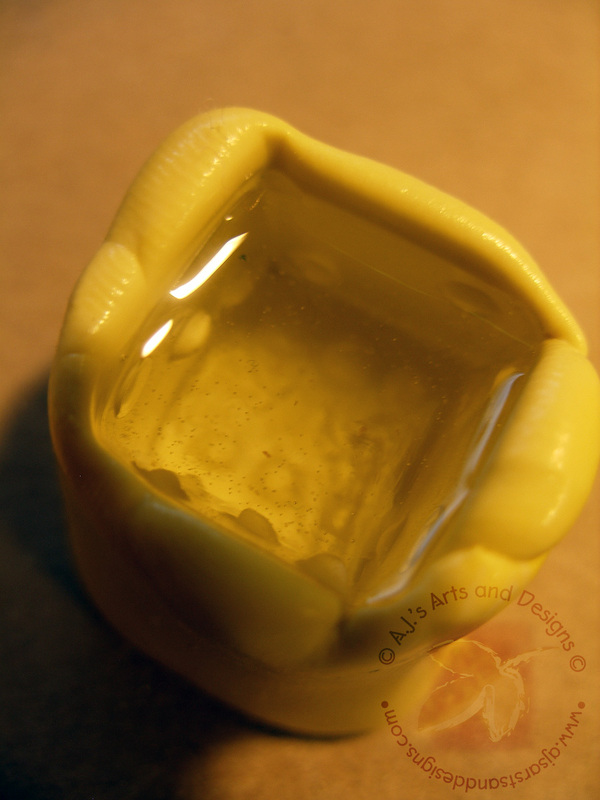 Most air bubble will come to the surface but to be on the safe side pour slowly. It is starting to change from clear to white (I call this the FRINGE Effect). 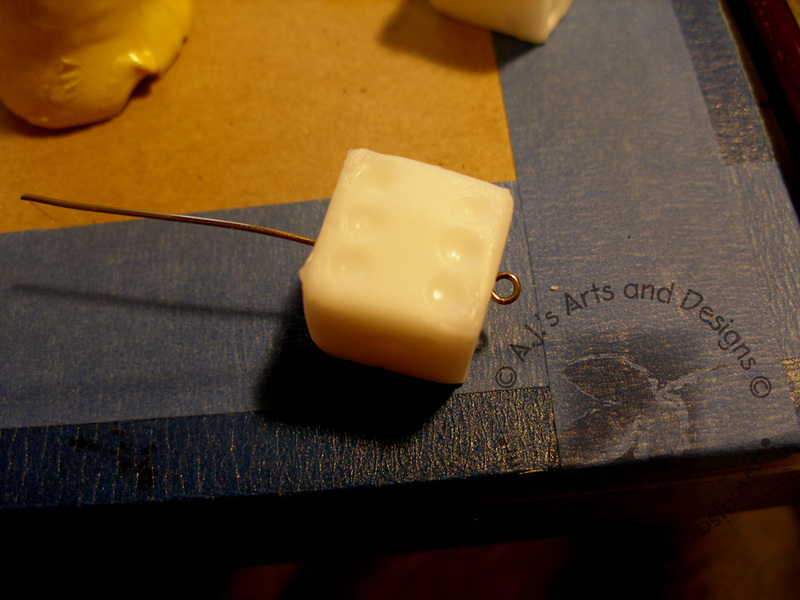 Once the resin has set for at least 3 minutes for this particular mold I would recommend 5 – 10 (I got a little impatient on one) un-mold the dice. 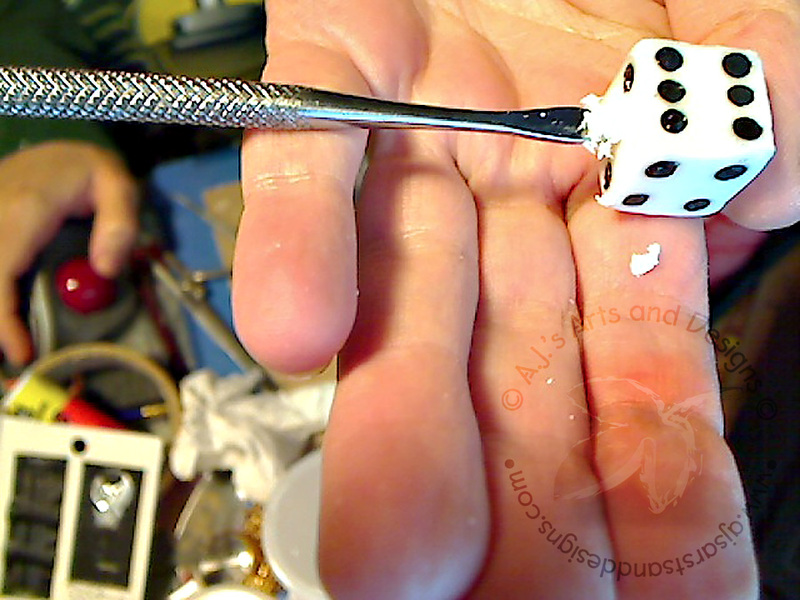 The dice will me slightly warm to the touch (I personally find this to be very cool and could not stop playing with it). 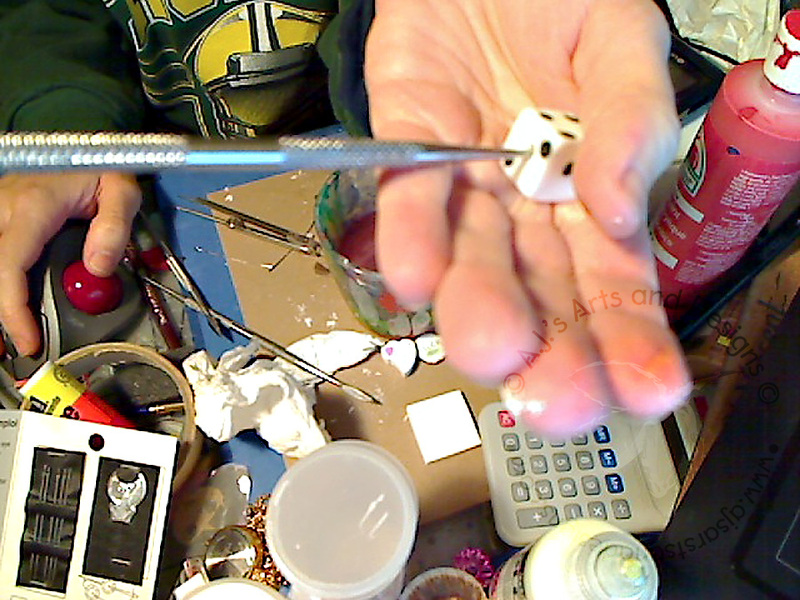 I took a needle tool and poked through the dice, while it was still warm to the touch. I was able to get a Eye Hook through them. 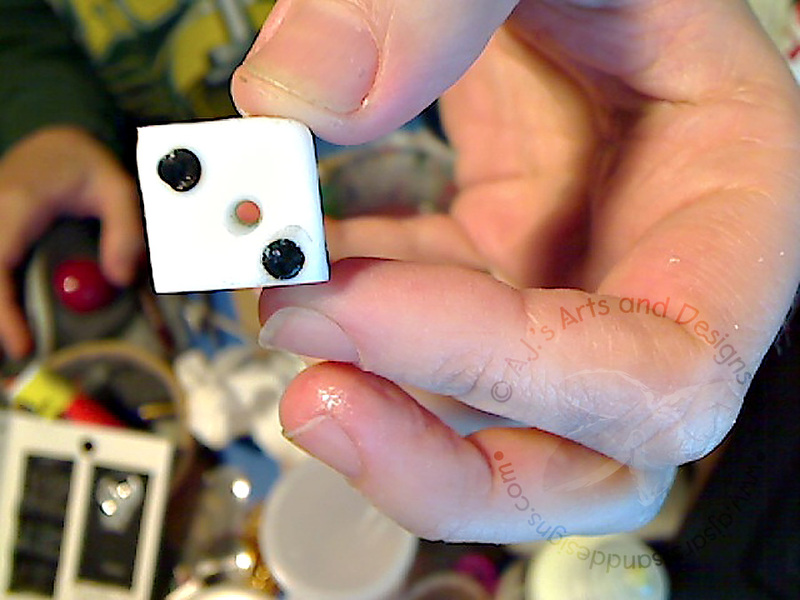 I took my Tulip® Slick Black Puffy Paint to do my dots. My daughter then informed me that she wanted a stretchy bracelet not a hook bracelet. I had to make the hole bigger to get the elastic too. 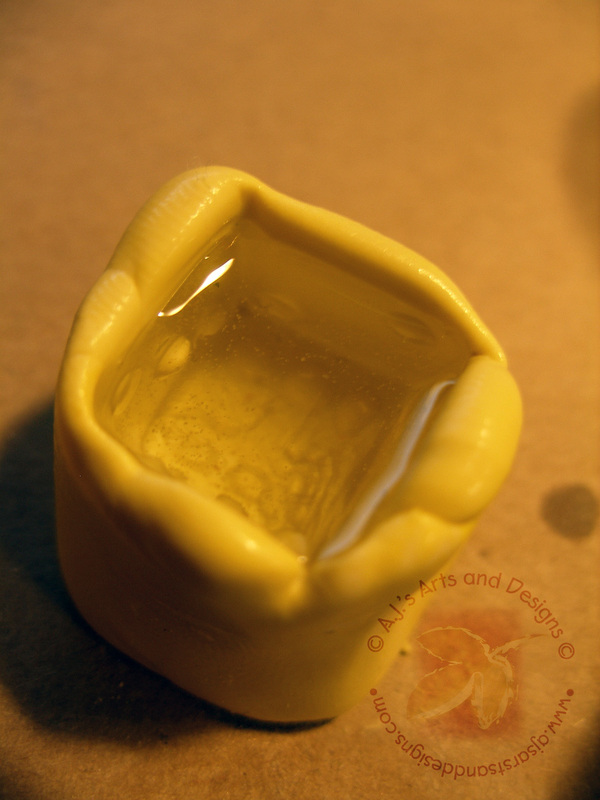 I scrapped the hole out with a sculpting tool (I believe a bead reamer would have worked – I don’t have one). I also didn’t have elastic or other beads so I took an old wooden bead bracelet of my daughters. 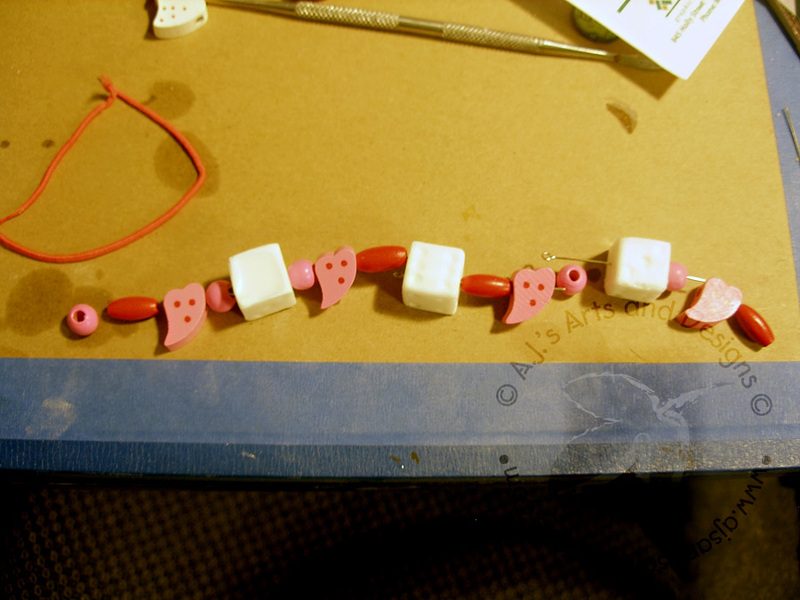 Took it apart colored the red beads, black and the pink hearts, red with a Bic® Mark it™ pens. I threaded the elastic through the beads and tied it together. My daughter thought it turned out fantastic and loves it so much that she didn’t want to lose it at school. Finished bracelet on my daughter’s wrist.